Hannah Bonser is now living as a man, according to reports. A woman who stabbed a schoolgirl to death in a Doncaster park is now living as a man in jail, according to reports. Hannah Bonser, who was jailed for life in 2012 after killing 13-year-old Casey Kearney in Elmfield Park, has asked to be referred to as Adam at HMP Low Newton in County Durham and is insisting guards address prisoners as “ladies and gentlemen”. The killer was jailed for life in 2012. The 31-year-old has reportedly also boasted about an upcoming operation to change gender. 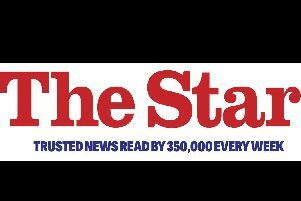 A former prison officer told the Daily Star Sunday that the prisoner was now insisting that officers use the term “ladies and gentlemen”. Bonser will serve a minimum of 22 years after killing Casey with a single stab wound in Elmfield Park as she made her way to a friend's house. Her trial heard how Bonser had a history of mental health problems. Casey Kearney, 13, was killed by Bonser with a single stab wound.